To many travelers, Hong Kong is well-known for shopping, eating and business trips. 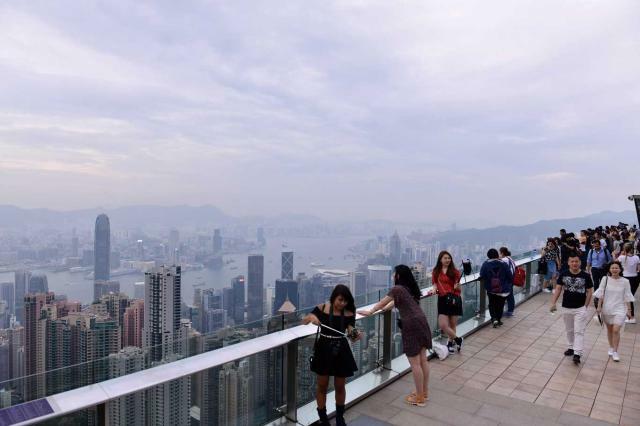 But there are actually other ways to enjoy the region – it’s much more than just the skyscrapers of Central and the bustling areas of Causeway Bay and Tsim Sha Tsui. Hong Kong is a young place, having only been a major settlement since the mid-19th century when it was colonized by the British after the First Opium War. Since then, it has never looked back in becoming a major port and business hub. Even after over 155 years, the business-first mentality still prevails. While this is good for the economy, it is not so positive for historical heritage conservation. Many colonial buildings have been torn down or left in an undignified or obscure state. Hong Kong can do better to maintain its history and cultural attributes, but there are traces that remain and can still be appreciated. There are a few colonial buildings scattered in Wanchai and Central, such as the stately Old Supreme Court, built in 1912 and located right in front of the Bank of China tower, a knife-shaped silvery structure. Another fine colonial building is across the harbor in Tsim Sha Tsui, the 19th century former Marine Police Headquarters. But rather than be preserved or left to rot, the opposite extreme has happened, as it has been refurbished into a luxury hotel and shopping centre called 1881 Heritage. West of Central, Sheung Wan features remnants of old-time Chinese trades. In the streets on the ground level near the subway station, there are a multitude of stores selling Chinese medicine, ginseng and dried seafood, including grouper and, sadly, even shark fin. If that isn’t your cup of tea, then walk a little farther up the hill. The antiques market on Upper Lascar Row, or Cat Street, is where artifacts, jade jewelry, handicrafts and Cultural Revolution-era (1966-76) items like Little Red Books can be found. Interestingly, the latter name of this street comes from its past when thieves sold stolen items to merchants there. As thieves were called rats in Cantonese, buyers of stolen goods were called cats. One street above Upper Lascar Row is Hollywood Road, which is lined with more Chinese antique shops and galleries, but of an upscale sort. Man Mo Temple, one of Hong Kong’s oldest shrines, is also located here, where the gods of literature (man) and war (mo) are worshipped. Built in 1847, it is dwarfed by the surrounding towers and looks a bit out of place amid the sea of modernity. But that is all the more reason to keep it in place. From here, it’s a short walk east to Soho, which while not as extensive as its namesakes in New York or London, still features a multitude of art galleries, shops, restaurants and bars. Among these is the PMQ, the former Hollywood Road Police Married Quarters, now converted into a shopping and arts compound. In addition, a giant of Chinese modern political history also left a mark in Hong Kong in this area. Sun Yat-sen studied and lived in Hong Kong for several years, finally graduating from a local medical school. A five-minute walk up from the PMQ, the Sun Yat-sen museum is housed in a well-preserved stately four-story mansion that was the former residence of local magnate Ho Kom Tong, the brother of Sir Robert Ho Tung. While Sun did not actually live in this house, he spent much of his time in Hong Kong in the surrounding neighborhoods. But to truly get a full view of both the opulence and density of Hong Kong, go up to the Peak. Taking the tram up to the Peak is a typical tourist experience but it is a good one, despite the tackiness of the malls and shops on top. For a more pleasant view, go on the Lugard Road footpath east of the Peak Tram terminus for superb views of Hong Kong Island and its harbor, as well as Kowloon across from the island. I don’t think you will ever find a better view of a city and its forest of skyscrapers anywhere else in the world. The Dragon’s Back hike along the south-eastern tip of the island is the scenic nature counterpart to the Peak hike. Instead of skyscrapers and towers, walking along the ridge gives you great views of the sea, Shek O Village and Big Wave Bay. Given that the Dragon’s Back hike is accessible by bus from a subway station and ends at a beach if you do the entire hike, it is as convenient as a hike can be. While Hong Kong Island and Kowloon were developed by the British, the New Territories, which lie inland, have been occupied for several hundred years by Chinese families. Actual villages with houses lie amid fields and plains, making it seem more like countryside in the southern Chinese mainland than Hong Kong. To experience a living representation of ancient Chinese village life, visit one of the New Territories’ 500-year-old walled villages where entire settlements lie within thick five-meter stone walls. These were built for protection against wild animals, bandits and even rival villages. One of the most well-known and well-preserved of these villages, Kat Hing Wai, is in Yuen Long near Kam Sheung Road subway station. Kat Hing Wai is home to a few hundred descendants of the Tang Clan, one of Hong Kong’s great clans which have been in the territory for over 900 years. Entry is free so you can wander around the lanes and take a polite glance inside locals’ homes through their front doors. Another aspect of Hong Kong that isn’t often well-known is that it is surrounded by many little islands and islets. For a more serene experience, it is good to do like the locals and visit one of them. 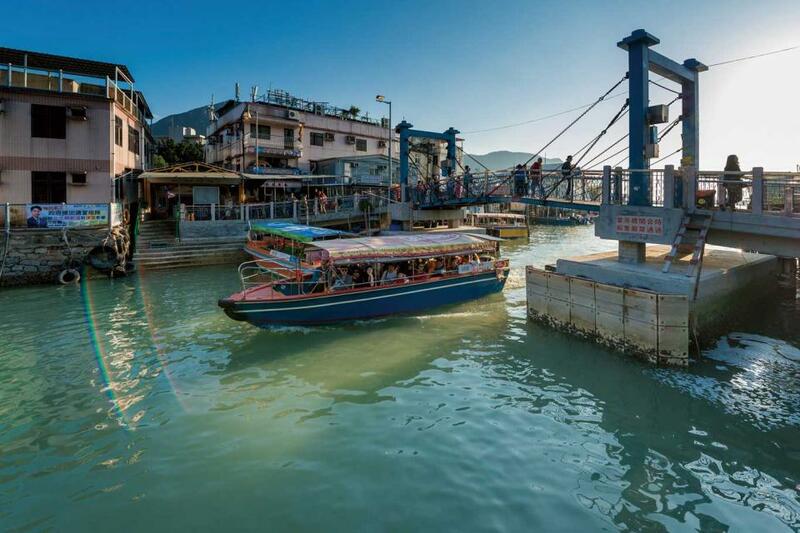 The most popular island is Lamma Island, just south of Hong Kong Island but a world apart. It is also where movie star Chow Yun-fat comes from. On islands like Lamma, with its plentiful seafood restaurants, trails, laidback lifestyle and no cars, one could imagine living here to be free from the hustle and stress of the city. And some expats do indeed do that. The largest of Hong Kong’s islands is Lantau, which is where the airport and Disneyland are located. This is also where the Ngong Ping 360 cable car can be taken to go up to a plateau of the same name. At the top of the 20-minute ride, which gives you great views of the sea and the airport, a giant Buddha on a summit greets you. Climb 268 steps to reach the 34-meter-tall Tian Tan or Big Buddha, within which a small bit of the Buddha’s cremated remains lies. A short distance away is Ngong Ping village, a little artificial Buddhist theme park, perhaps a bit too tacky to enjoy. Walk a little farther to the Wisdom Path, a series of large wooden steles inscribed with verses of the Heart Sutra, a famous Buddhist text. But religious enlightenment isn’t the only thing to come out here for, as the trail alongside it offers a superb view of the South China Sea. The hardier can even take a hike up to Lantau Peak, at 934 meters, the second-highest peak in Hong Kong. So next time you visit Hong Kong, give some of these a try.